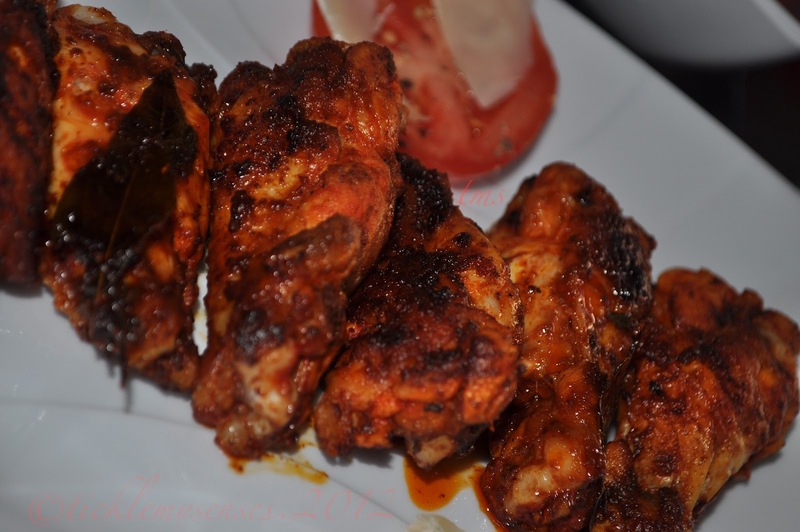 Any diehard fan of chicken wings is sure to devour these super simple chilli wings. Made using the "heavenly combo of chilli powder, lime or lemon juice and salt" it is simplicity and pleasure at its peak. Much like the Indian highway dhaaba food. Named them the "Wings of Fire" because of their lovely bright orangey red colour. This chilli-lime-salt combo brings back memories of being on the streets of Bangalore relishing raw mangoes, guavas, corn on the cob or goose berries sprinkled with it,.....its amazing how this simple spice combination can transform anything it touches.. delivers a sharp pain in the salivary glands at sight, not failing to bring on the drool effect every single time. It transform these wings to pleasurable spicy delights, hot, tangy and delicious, crispy on the outside and juicy inside..... Do give them a try, I'd love to know how you enjoyed them. 1. Take the red chilli powder in a bowl, add the lime/ lemon juice to the chilli powder till it forms a smooth shiny paste, neither too thick nor too runny. Add salt to taste and a little bit more. Make horizontal cuts in the wings using a knife in 2-3 places to allow marinade to penetrate meat bettter. 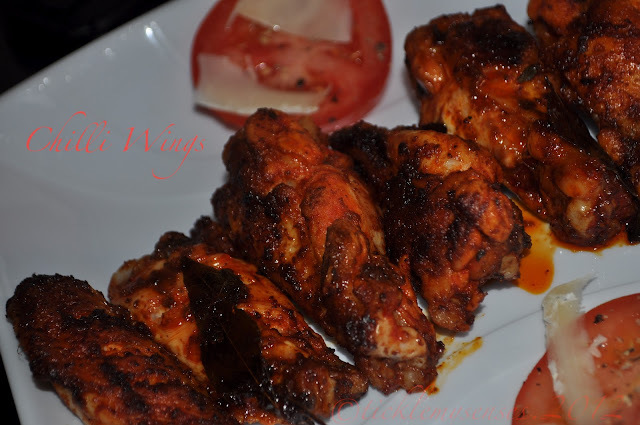 Smear/ rub the marinade all over and into the cuts in the chicken wings, keep aside for atleast an hour. 2. In a non stick pan heat 2- 3 tbsps oil. 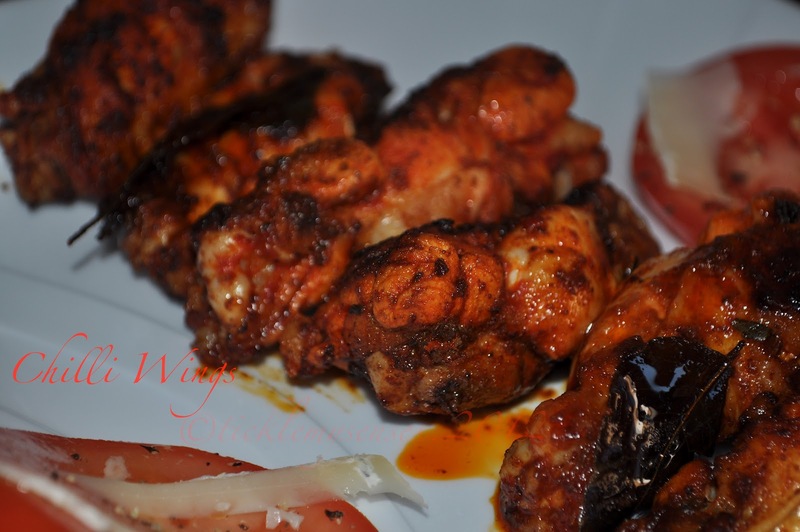 When hot add curry leaves and fry for a few seconds, then add the chicken wings into the pan in a single layer, cover and fry on a medium- high flame till the chicken is cooked and outer skin appears crispy, turn once in between. No need to add water. Add more oil if needed to fry well. I use Kashmiri/ Bydagi Chilli powder to make the chilli paste, it gives the wings this lovely orangey red colour without being too hot in taste. 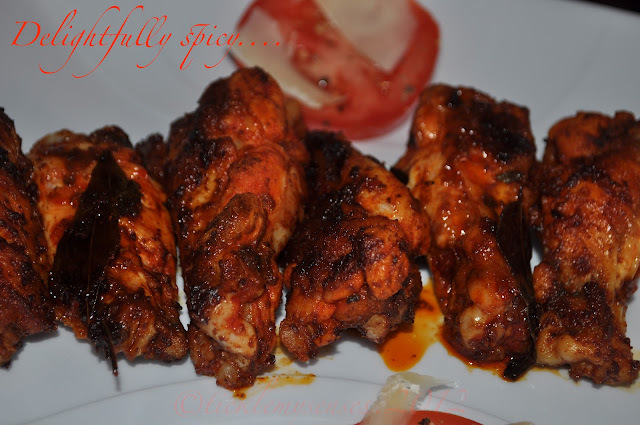 If using any other red chilli powder adjust the quantity to suit your heat levels. mouthwatery clicks :) wish i could grab some..